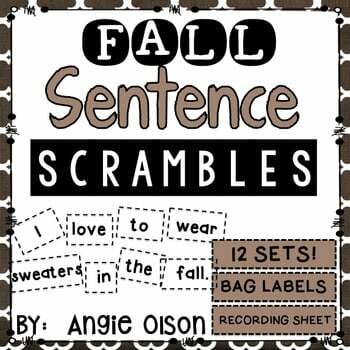 Fall Sentence Scrambles are an activity that my students love! 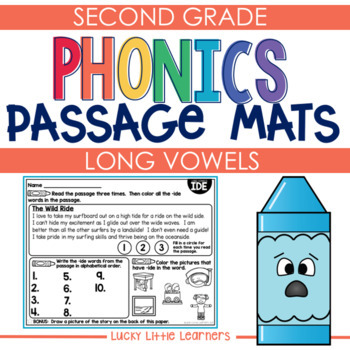 Print the words onto white or colored paper. Laminate for durability. 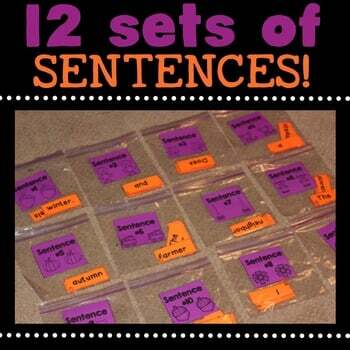 Sort word cards into bags or containers with the matching sentence label. 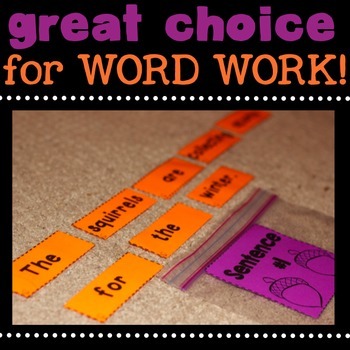 Word cards and labels have the same fall image for quick and easy sorting. 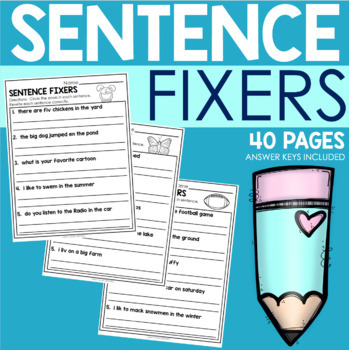 Students need to rearrange the cards so that they create a complete sentence. Then the sentence gets written on the recording sheet. 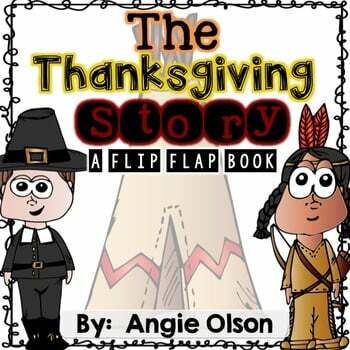 This activity can be used in a whole group, center, or partner setting. There are 12 different sentences included in this product. 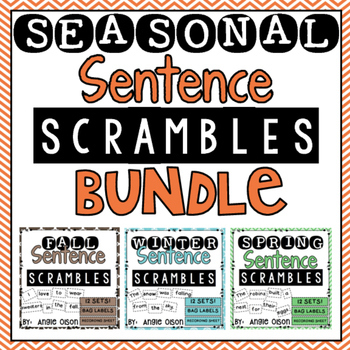 GRAB SENTENCE SCRAMBLES FOR ALL SEASONS!